Dax Combat v2 Beta free until the full version is released! You just need is a VIP subscription at TRIBot to use it. Once you have VIP, you can run unlimited instances, for an unlimited amount of time. On TRiBot click ‘Start Script’, then select Dax Combat and your account. 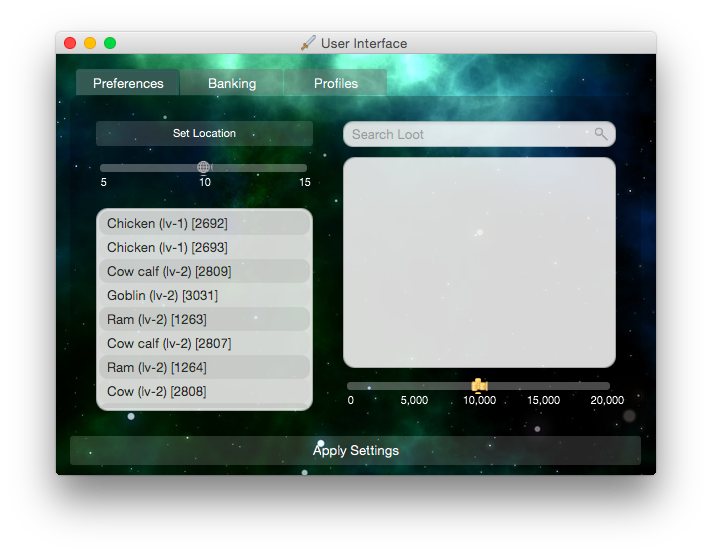 Start by moving your account to the area you wish to fight in, and click the ‘Set Location’ button at the top right. Then, use the slider to set a number of tiles to be the radius of your combat area. The lower your radius, the closer to the ‘Set Location’ your account will stay. The pane on the left should be populated with a list of monsters in your area. You can press the control key + click to select multiple monsters if needed. Use the search bar at the top left to find and select desired loot to pick up. You can also use the GP slider to indicated a ‘loot above’ value. If the script sees an item on the ground worth more than your ‘loot above’ value, it will pick it up. To enable banking, click the ‘Banking’ tab, then the ‘Enable Banking’ checkbox. The script will now automatically bank your loot when full. If you wish to withdraw anything from the bank, like food, use the search bar to enter an amount and type of food, ex: 8 Tuna. With the power of Dax’s webwalker, the script will automatically find the closest bank, and return back to the monsters. The script allows you to save and reload your settings to help save time. To do this: click the ‘Profiles’ tab, enter a name for your profile ex: ‘Lumbridge Chickens’, and hit save. Dax combat is easy to setup and handles combat interactions efficiently. Our tests at various locations with mixed crowd sizes resulted in good xp/hr for the conditions. The script was also able to identify the closest bank and make it back to a wide variety of monster locations. Dax combat does lack some nice to have features for a combat script: potion drinking, bone burying, style switching, etc. 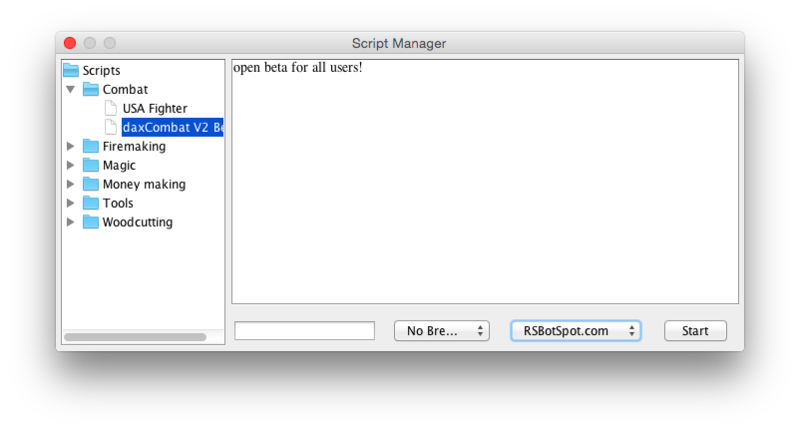 However, the features it does have shine, and it’s very impressive for a free script.